Today, I ran into an issue, where the people I was talking to couldn’t tell me if their Azure Active Directory tenant had one or more Directory Synchronization Tool (DirSync) or Azure Active Directory Sync Tool (AADSync) installations associated with it. Additionally, these people showed me an Azure Active Directory Sync Tool (AADSync) installation, but they had no idea whether or not it was functional. The first way is to check if your Azure Active Directory Tenant has a DirSync or AADSync installation allows syncing to it, There’s no need for difficult tools, because you can see if this functionality is enabled or not using the Azure Management Portal. Open a web browser and navigate to https://manage.windowsazure.com. When you’re not automatically logged on, enter the credentials of a user account with administrative privileges in the Azure tenant. If you are logged on automatically, perform the steps below. When you are unable to, because the account with which you have been automatically logged on, close the browser and start an Inprivate Mode browsing session. Then perform the steps from the top of this list. In the main pane, click on the arrow to the right of your directory name. By default, the directory is named Default Directory. In the top bar with items, click on the DIRECTORY INTEGRATION tab. 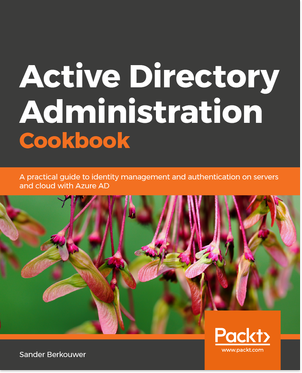 In the main pane, in the integration with local active directory section, there is a toggle switch that indicates the status of DIRECTORY SYNC. When this toggle is DEACTIVATED, indicated by the blue background color, there is no DirSync or AADSync installation syncing to the Azure Active Directory Tenant. When this toggle is ACTIVATED, there is. In the screenshot above, there is no DirSync or AADSync installation syncing to the Azure Active Directory Tenant, since the functionality clearly isn’t activated. 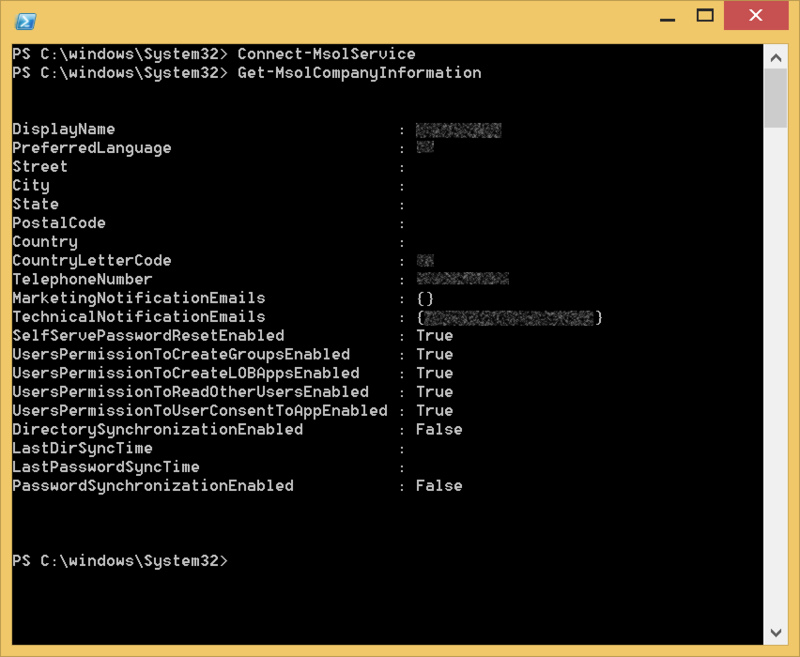 Another method is to use the Azure Active Directory PowerShell Cmdlets. This is a fast method when you already have the Azure Active Directory PowerShell module installed and configured, which, in itself, is only mere minutes of work: First install the Microsoft Online Services Sign-In Assistant for IT Professionals RTW from the Microsoft Download Center. Then install the Azure Active Directory Module for Windows PowerShell (64-bit version), and click Run to run the installer package. 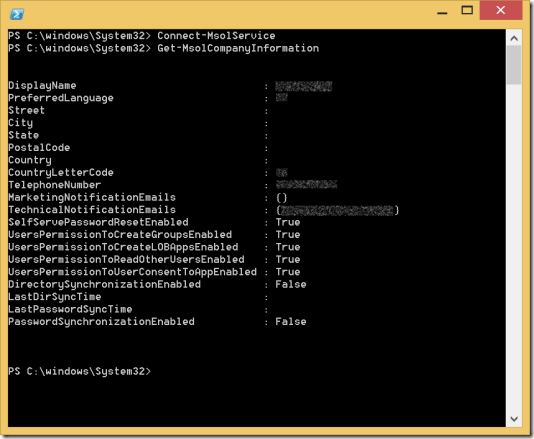 I prefer this method, because the Get-MsolCompanyInformation Windows PowerShell Cmdlet in the Azure Active Directory PowerShell module exposes a lot more information than the graphical Azure management portal. Start the Microsoft Azure Active Directory Module for Windows PowerShell by typing part of its name in the Start Screen. Then, when selected press Ctrl + Shift + Enter to run it as administrator. Alternatively, right-click the Microsoft Azure Active Directory Module for Windows PowerShell search result and select Run as Administrator from the context menu. Type your user principle name (UPN) and the associated password of a user account in the Azure Active Directory tenant with administrative privileges. The screenshot above shows the Azure Active Directory tenant, clearly, hasn’t synchronized, since DirectorySynchronizationEnabled is clearly False. However, we can also see that the tenant never had one or more Directory Synchronization Tool (DirSync) or Azure Active Directory Sync Tool (AADSync) installations associated with it.